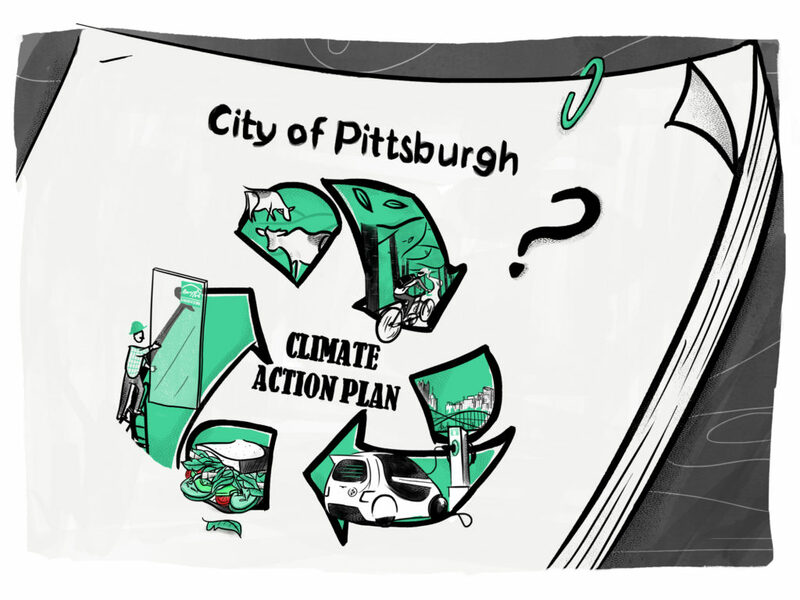 This series about Pittsburgh’s plan to tackle climate change, Three Rivers Rising, is a finalist along with the Center for Public Integrity and the Texas Tribune, for a 2018 Online News Association award for explanatory reporting. It was an unusual scene: environmentalists of every stripe praised the city of Pittsburgh for creating a plan that finally laid out just how serious Pittsburgh needed to get about climate change. And yet many of them didn’t seem convinced it would work. About 75 people showed up to Pittsburgh’s council chambers on Nov. 29 to comment on the city’s ambitious new climate action plan, which lays out its strategy to cut greenhouse gas emissions in the city 50 percent by 2030 and 80 percent by 2050. The plan includes many changes, from cutting the city’s meat consumption in half to planting 780,000 trees, which could transform life in the city, including where Pittsburghers live and how they get to work. Lindsay Baxter, who played an instrumental role in writing the city’s first two plans as the former sustainability coordinator, urged the city to spell out which of its ideas would have the most impact. “The urgency of climate change necessitates a plan that leads to action rather than one that establishes a vision alone,” she said. The city’s plan relies on individuals and businesses to make big changes. But if it isn’t clear in its 100-page plan what should be prioritized, how will Pittsburghers know how to rally behind it? Of all the people who showed up, only one, Robert Akscyn, opposed the plan. As he rose to speak, the room got quiet. The iconic image of Pittsburgh features the three rivers rolling underneath its bridges with the Downtown buildings in relief. But it is these large buildings and similar ones throughout the city that are the primary culprit of Pittsburgh’s greenhouse gas problem. Buildings create 81 percent of emissions here, mostly from the use of electricity and natural gas, and the majority of those emissions come from commercial buildings, such as offices, hospitals, schools and churches. If we looked at how Pittsburghers drove their cars or heated their homes, their energy footprint would look a lot like the citizens of Portland, Oregon, or Seattle, Washington. But the emissions from Pittsburgh’s commercial buildings are several times higher than their counterparts in those West Coast cities. Do you track your home’s emissions? How? Unless Pittsburgh finds a way to buy more clean power from power plants, the only way to reduce the impact from buildings will be to improve the buildings themselves. While the amount of emissions Pittsburgh’s buildings create looks bad, the city has emerged as a leader at figuring out how to change. Since 2012, a group of about 500 buildings in Downtown and Oakland have committed to reducing their energy use 50 percent by 2030 — as part of the 2030 District initiative. 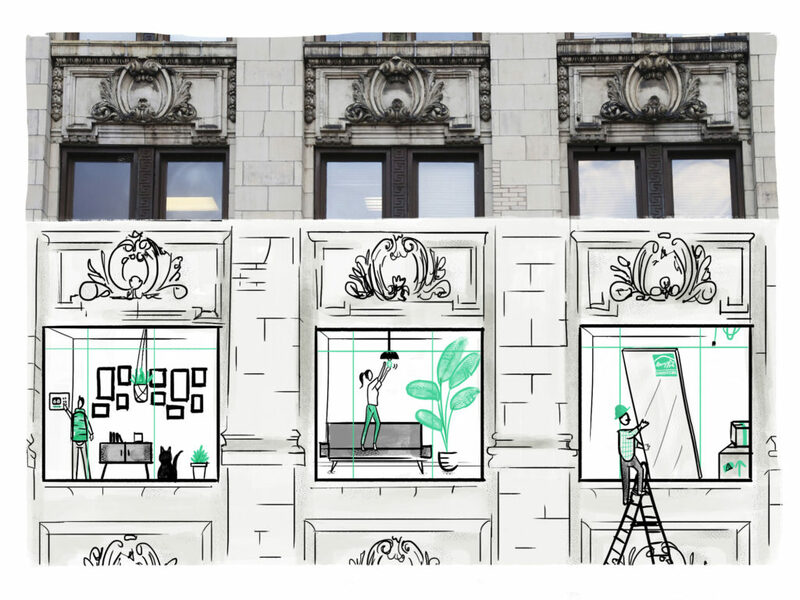 In five years, those buildings have reduced their energy consumption by nearly 11 percent. As Claus Makowka pulled out of his North Oakland driveway, his Tesla only had 12 percent of its battery charge left. Our drive was supposed to take 30 minutes. It was a cold day — snowflakes had started to fall as we pulled away. Car batteries don’t keep their charge as well in the cold. The city of Pittsburgh has made reducing emissions from driving a central part of its plan to tackle climate change. And electrifying the city’s cars is one of its key strategies. Makowka, who has already driven his Tesla S across the country twice, promised to show me how easy the transition would be. So we set out to test one of Tesla’s new superchargers at a Sheetz gas station. Makowka calmly pointed to the car’s dashboard screen, which indicated we would arrive with 6 percent to spare, after taking into account the temperature and changes in elevation. The instant torque of the car yanked me back against my seat as we pulled away from the first stoplight. 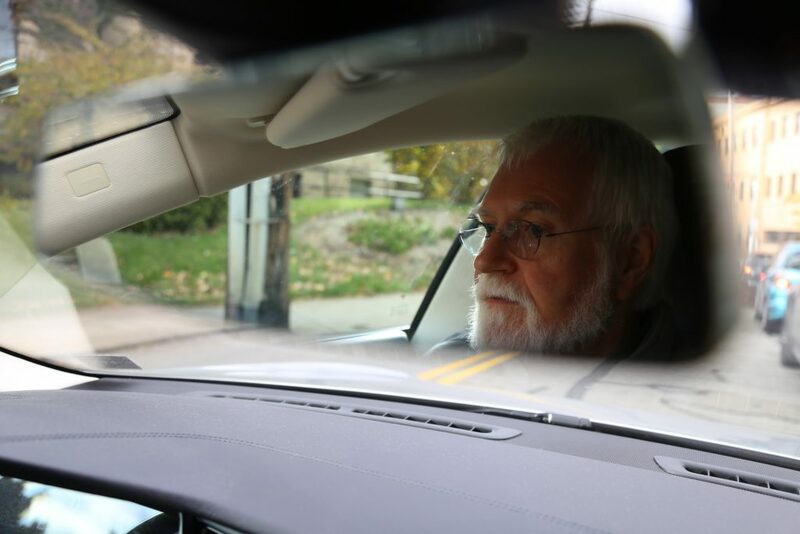 Makowka, a retired software designer, said his wife doesn’t like driving his Tesla because of how quickly it accelerates. We arrived, like clockwork, with 6 percent of the battery to spare, and then returned back to Pittsburgh less than 10 minutes later, after a brief supercharge left us with enough power to drive another 100 miles. The dozens of volunteers who showed up to plant trees along Bigelow Boulevard came for a lot of unexpected reasons. Eric Chiu, a freshman at the University of Pittsburgh, needed volunteer hours to beef up his resume for medical school. J. Frank Dawson, the landscape architect who initiated the project, wanted Pittsburgh’s hillsides to explode with pink in the spring from the redbud trees. And Fadwa Brady, an Iraqi native, wanted to honor her recently deceased father who believed that life, like the 40 trees she wanted to plant in his honor, doesn’t end at death. In just a few hours on this November morning, the group, many of whom said it was their first planting, had planted 36 trees. But a forester with the Western Pennsylvania Conservancy, who led the volunteer planting, privately explained later that it would have been faster and cheaper if none of the volunteers had even showed up and the conservancy had just done the work. The real reason the volunteers were there wasn’t so much for their labor as their minds. They were being taught to notice trees. 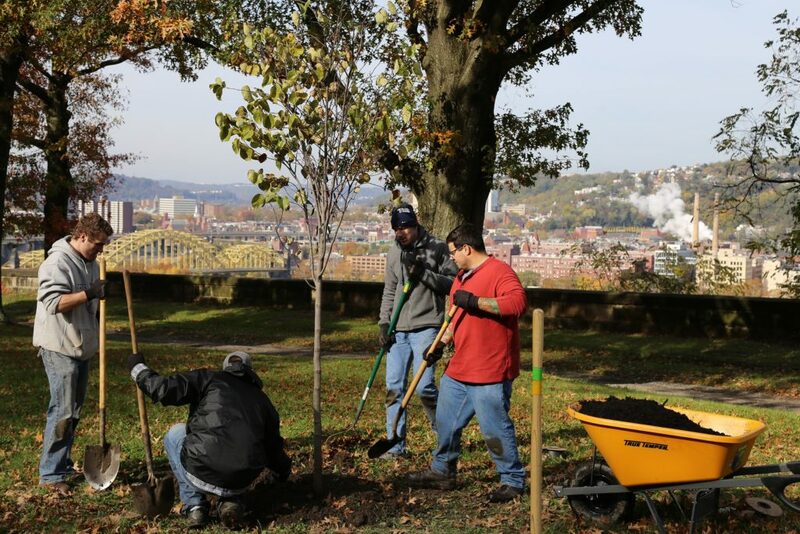 In its recently proposed climate action plan, Pittsburgh committed to increasing its tree canopy about 50 percent by 2030. Right now, there are about 2.5 million trees in the city, more than most cities its size. The plan is to actively plant 780,000 more trees over 12 years, to increase the tree cover from about 40 percent to 60 percent. While trees in parks and along highways may be the most visible effort, the real battle will be happening much closer to home: in front yards and backyards. What would make you stop eating meat? Is it the price? Maybe it’s knowing more about animal cruelty? Would you turn vegetarian, or at least reduce your meat intake, if the city you live in had a goal to battle climate change and said that eating less meat helps? What would the city need to do to convince you? The city of Pittsburgh wants its residents to eat 50 percent less meat by 2030, according to a goal laid out in its climate action plan. Agriculture accounts for more than a quarter of global greenhouse gas emissions, and half of those emissions comes from livestock. Every bite of steak or lamb chops has a larger impact on the environment than a baked potato or bowl of rice. But two recent attempts illustrate how challenging it may be to get people to cut back or cut out meat from their diets. At the city’s most recent vegan festival in Franklin Park, a long line of people waited to buy food from Onion Maiden, a vegan restaurant. Lori Weber, who bought a vegan hot dog with kimchi and Korean mayo, became vegan last year because she wanted to eat healthier. Health is often the most common reason vegans give in polls about what made them change. Like many vegans, climate change didn’t even factor into Weber’s decision. A week later, at Brashear High School 15 miles away, Adia Effiong of the nonprofit Grow Pittsburgh helped a handful of students make fresh salad from ingredients grown in the school garden. The idea is that students are more likely to eat vegetables they grow themselves and, if they are exposed to vegetables early, they are more likely to make them a part of their lives later on. That was the theory anyway. 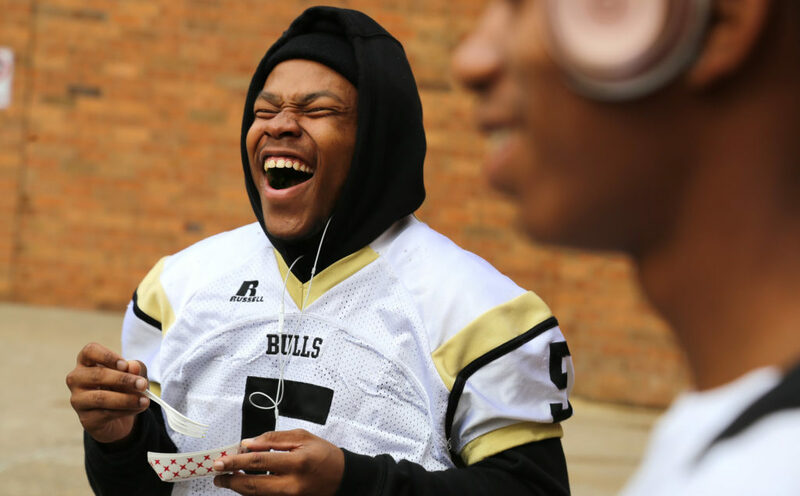 Terrance Triplett, who wore silver Beats headphones as he pulled up spinach leaves, worked diligently the whole period. But soon after he had washed, chopped and dressed the vegetables, he took a bite and melodramatically ran over to the garbage can to spit it out. Even if the kids liked the class, it was unclear whether this would ever translate into reducing how much meat they ate in 2030. It took more than 90 minutes and several hundred slides, but Al Gore finally arrived at the part of the “most famous slideshow in the world,” as it was introduced, where he built a crescendo of hope for the roughly 1,400 people at the David L. Lawrence Convention Center in Pittsburgh Tuesday. The audience came from all over the world not only to hear the former vice president speak but to also spend three days at the 36th training led by the Climate Reality Project, the largest in its history. The group was founded by Gore after the surprising popularity of “An Inconvenient Truth,” the 2006 documentary film based on his slideshow. The purpose of the Climate Reality Project’s annual training is to equip “climate reality leaders” to inform their communities about the climate crisis and organize action. Gore forewarned the audience that they needed to remain hopeful — and then he clicked rapid-fire through images of disaster after disease after drought, each of which he said can be either directly or indirectly attributed to a warming climate. After 90 minutes of convincing the audience they had to act, he turned his attention to a question: Could they do anything to reverse course? 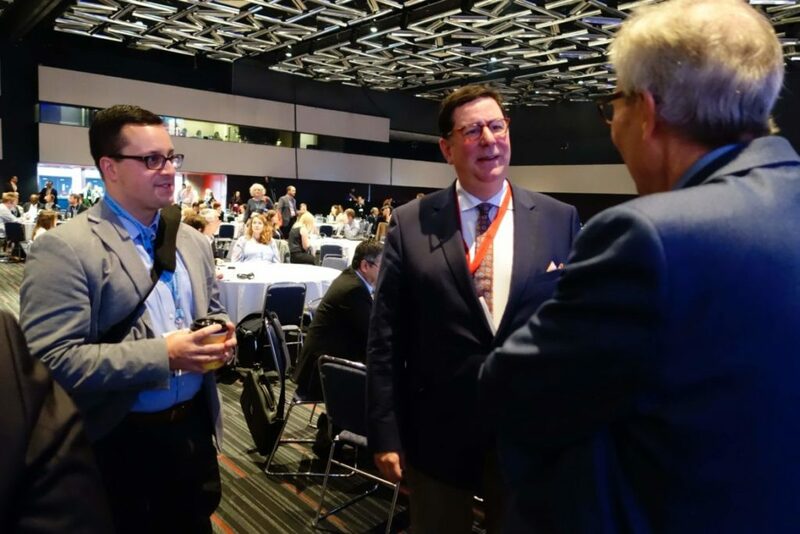 Right before Pittsburgh Mayor Bill Peduto had to leave for the airport at the end of an international environmental conference in Montreal last week, he had one last meeting to attend. The meeting was with Ashok Sridharan, the president of ICLEI, the largest international organization devoted to helping cities address climate change. 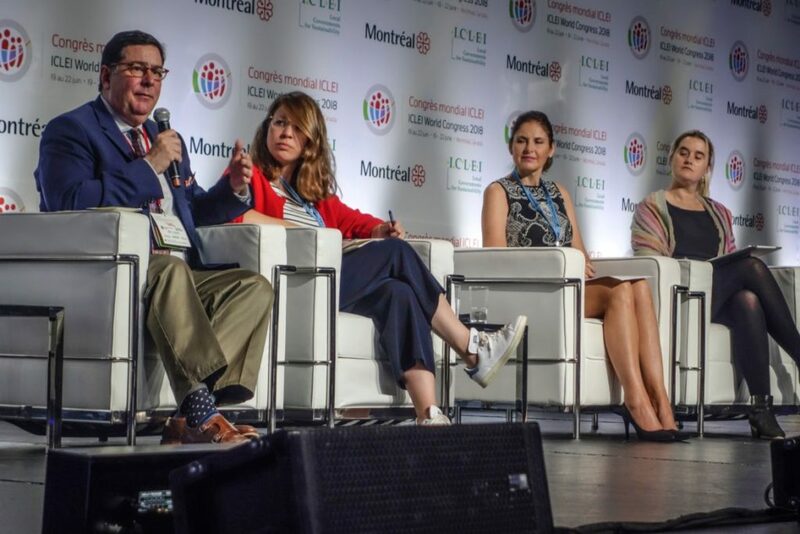 The conference in Montreal was ICLEI’s biggest event, and Peduto had been one of the featured speakers. “I think [the tweet] has had 24 million views now,” Peduto replied. “24 million! Wow, that’s incredible,” Sridharan said. Although he knows the tweet has given him an international platform, which means he’s invited to global events like this several times per month and has to turn most of them down, Peduto wants to be known for more than just one tweet. He would like to be remembered for all of his environmental work as a mayor and city councilor, including sponsoring the city’s first climate action plan nearly a decade ago. President Donald Trump’s name didn’t come up frequently during the conference, but when it did, the opinions were usually critical. Trump, who wants to pull the United States out of the Paris Agreement, paradoxically also made the climate work of ICLEI and mayors like Peduto more relevant. Trump’s moves are forcing cities to “be able to show that we are actually meeting our goals on a local level,” Peduto said. “All I gotta say about that is, ‘Thank you, Donald Trump,’” Peduto said. After Trump’s announced withdrawal from the climate accord, hundreds of U.S. mayors pledged to keep their commitments. But a year after this initial enthusiasm, the ICLEI conference was an opportunity to judge whether this increased responsibility and attention was justified by what cities have been able to do or could realistically accomplish. More than 1,200 attended from cities across the globe, including some mayors like Peduto, to share what was working and to seek new ideas….Continue reading And for a two-day with the Allegheny Front about this reporting, click here. © 2019 Oliver Morrison All Rights Reserved.